Charles was born in 1890. 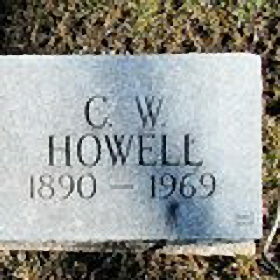 He passed away in 1969. No known carriers of Charles's Y-chromosome or his mother's mitochondrial DNA have taken yDNA or mtDNA tests and no	close relatives have taken a 23andMe, AncestryDNA, or Family Tree DNA "Family Finder" test. Charles is 45 degrees from Graham Chapman, 30 degrees from Janet Wild and 20 degrees from Henry VIII of England on our single family tree. Login to find your connection.